I used to order this greek salad all the time by my old house, it was one of my favorite things to eat and it. I think I finally figured out a close replica of the flavors, but much cleaner and very healthy. Totally contest diet approved! 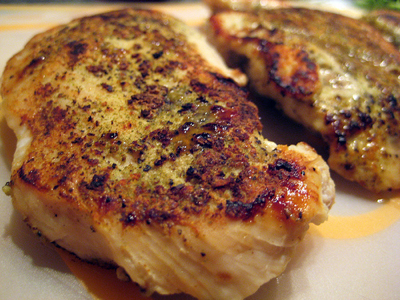 I use boneless skinless chicken breasts butterflied so that there is more surface area for the marinade. I also use it on tilapia. Great on romaine lettuce with a little olive oil and red wine vinegar.